Spaniards love any reason to throw a great party, and New Year’s Eve is one of the best moments of the whole year. 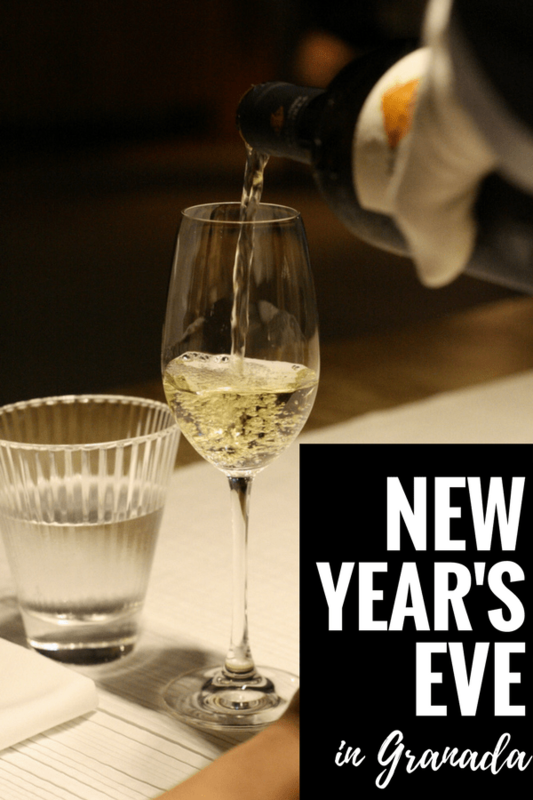 Nostalgia of the year gone by coupled with excitement for the year to come makes New Year’s Eve, or nochevieja, one of the most highly anticipated fiestas of the season. People all over the world cherish this special night and celebrate the beginning of a fresh start. But if you’re spending New Year’s Eve in Granada, there are some especially unique traditions you need to know about. Grab your grapes and cava and start the countdown! Nochevieja is one of the most cherished holidays all over Spain, due to its status as a time when people get together with friends and family to celebrate the past year and look ahead to the next. Don’t forget to dress up for the occasion—even families who celebrate at home don’t lounge around in pajamas on New Year’s Eve! While some choose to ring in the new year in the comfort of their home, others gather in the city center to celebrate with friends and strangers alike. No matter where you celebrate, though, there’s one thing everyone on New Year’s Eve in Granada does together: eat the uvas. 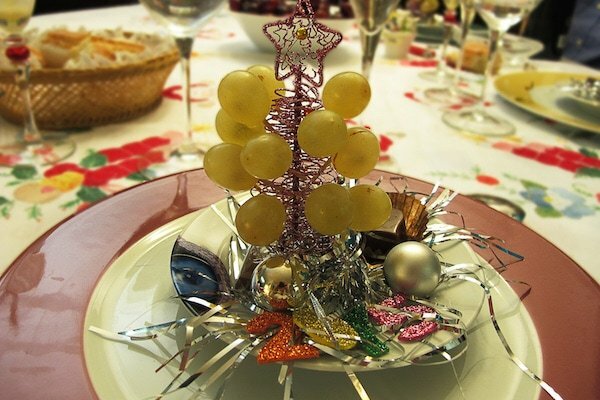 The traditional 12 New Year’s grapes are eaten at the stroke of midnight, one for each chime of the clock. Don’t forget to make a wish! 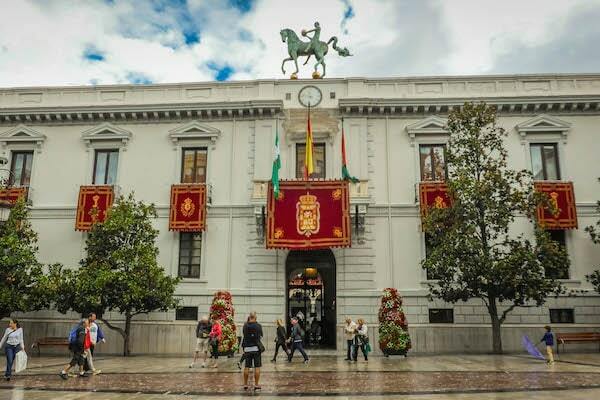 If you’re spending New Year’s Eve in Granada as a guest, be sure to head to Plaza del Carmen, a bustling square in front of the ayuntamiento (City Hall) that turns into the unofficial New Year’s Eve headquarters on December 31. 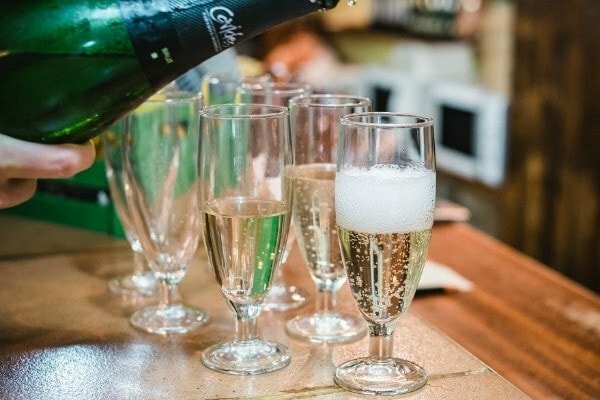 Dozens of granadinos and visitors alike gather in the plaza to watch the town hall clock strike midnight, eat their grapes, and toast the new year with cava and champagne. This is an especially great idea for visitors to the city, as it gives you the chance to mingle with locals (and possibly even snag an invite to a party later in the night!). This is Spain, after all, and with January 1 being a national holiday, many granadinos are in no hurry to get home after the midnight countdown. After dinner with the family, racing to eat the uvas and toasting with some cava, it’s time to keep the celebration going. Champagne? No, thanks—but pass the cava. Want to go all out? On New Year’s Eve in Granada you can find dozens of discotecas offering special admissions to private nochevieja parties. Some of the most popular events are at Mae West (inside Centro Comercial Neptuno, Calle Arabial, s/n), Forum Plaza (Calle Jose Luis Perez Pujadas, s/n) and Aliatar (Calle Recogidas, 2). Tickets will usually set you back between 25 and 50 euros and include at least one drink. You won’t be able to get in without a prepurchased ticket, so plan ahead if this sounds like your ideal night. This is the perfect way to keep the celebration going all night long—most discotecas are open until 8 a.m.! Not into the discoteca scene? Go pub hopping! This is the more popular option among locals on New Year’s Eve in Granada. There’s no entrance fee required—just swing by your favorite bar and order your drinks as normal, but keep in mind prices will be hiked for the holiday. Most bars close at 5 a.m., so you can still keep the party going relatively late. Not sure where to go? Calle Pedro Antonio de Alarcón, with its inexpensive and authentic bars, is a local favorite, and for a more exclusive night, head to one of the more chic, upscale bars on Calle Ganivet. 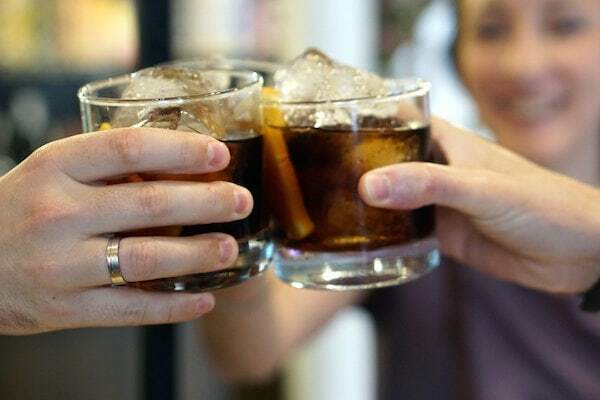 Toast the new year with new and old friends alike in a typical granadino bar. 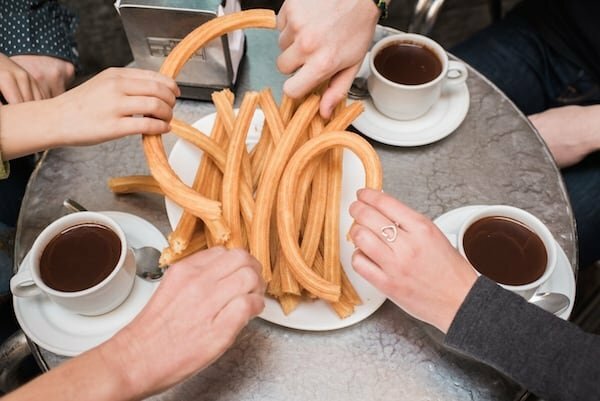 No matter how you decide to celebrate New Year’s Eve in Granada, there’s one uniting factor the next morning: churros con chocolate. Whether you’re just waking up or heading home after a night of partying, it’s the perfect way to start (or end!) your day. Cafetería Alhambra (Plaza de Bib-Rambla, 27) or Café Fútbol (Plaza de Mariana Pineda, 6), are two classics when it comes to churros in Granada, but it’s hard to pick a favorite. Insider’s Tip: Most churrerías open bright and early at 7 a.m. on January 1, but despite the early hour, lines will be out the door almost immediately. Be patient—the wait will be worth it! What better way to start the new year than with piping hot churros dipped in rich hot chocolate? If you called it an early night, head to the nearby Sierra Nevada on New Year’s Day to start the new year off with some skiing. January 1 is the least crowded day of the year on the slopes—most people are still resting up from their night of fiesta, so take advantage of having the mountain practically to yourself.